Storage might not be the most glamorous aspect of wine, but is nonetheless a critical one. This is especially the case in yachting, given the high calibre of wines and often inadequate storage facilities on board. Stories of fine wines stored near engine rooms or under beds are common, and worrying. Lately, however, there has been a positive development in terms of interior design planning and newly built yachts tend to have better storage facilities than in the past. The ideal long term storage temperature of a wine is between 10-13°C, at a constant temperature and in a dark place. A wine should also be stored away from vibrations, though this is virtually impossible on a yacht. Bottles should always be stored on their sides, so the cork remains in contact with the wine. Let’s look in more detail at the different aspects of storage, and why they matter. The ideal storage temperature for wine is between 10-13°C and at a constant temperature. Minor changes due to changing seasons are less important than rapid and sudden changes. If the temperature fluctuates massively, the wine will mature faster and lose some of its fresh fruit flavours and complexity. Modern yachts usually have a comfortable temperature of around 20°C or more. This temperature is not suitable for wine in the long term, so try to store your wine in cooler spots on the yacht, or invest in a wine fridge. Another point of concern is during crossings when the air conditioning is turned off in certain areas, and temperatures can easily reach 35-40°C. This can have a severe impact on the wine, even after a short period. At high temperatures, the wine will start to develop “cooked” fruit flavours and lose its freshness. The wine also expands when it is hot, so if you see a cork slightly pushed out of the bottle this is a sign of having been exposed to heat, and you should move it to somewhere cooler. This does not guarantee that the wine has been affected, though it may well be the case. It is quite safe for the temperature to drop lower than the ideal range of 10-13°C, provided the wine doesn’t freeze. Luckily, wine won’t freeze until its temperature drops considerably below 0°C, as the alcohol acts as antifreeze. In very cold temperatures, small crystals may form at the bottom of the bottle. These are known as tartaric crystals, and they form when tartaric acid in the wine solidifies. Tartaric crystals have no effect on the taste of the wine and will not harm you, and they can be removed by simply decanting the wine. In fact, many producers will intentionally freeze their wines and eliminate these crystals before selling the wine, in a process known as cold stabilisation. Therefore, if you do see these crystals it is a sign of less intervention during the winemaking process. The top producers around the world tend to prefer a “hands off” philosophy to allow for the best expression of the wine. It is also worth remembering that one of the main reasons for storing and cellaring wine is to enable it to gracefully develop and change. At a very low temperature, all chemical processes will take much longer. Patience, here, is a virtue. It is also worth noting that heavier red wines are less sensitive to heat and light than lighter whites and rosé wines. The wines most susceptible to high temperatures are delicately flavoured ones like Provence rosé, Pinot Grigio and light-bodied aromatic white wines. A sturdy young red wine with plenty of tannins and fruit concentration, such as a high-quality Bordeaux, will suffer less. The main reason to pay attention to the humidity level is to ensure the cork doesn´t dry out. This is also why it is important to keep bottles on their sides, so the wine stays in contact with the cork and keeps it moist. If the cork dries out, it can harden and fail, leading to oxidation. For screw cap wines this is not an issue, but for practical storage reasons, all wine bottles tend to be stored lying down. Modern cellars or wine fridges will be equipped with a measurement of humidity and can be correctly adjusted, with 70% humidity considered to be ideal. Be aware that overly high humidity levels can sometimes damage wine labels, as mould might form. A cellar should be dark since light can speed up chemical reactions and make the wine lose elegance and freshness. Therefore, fine wine bottles are usually made of dark glass, and Cristal Champagne, bottled in clear glass, is wrapped in protective dark yellow plastic. Some yachts have special display facilities with bright lighting, designed to impress guests with fine and rare wines. This arrangement is not recommended, and if you work on such a yacht, it is best that you at least turn off the light when there are no guests on board. Not a problem with home storage, vibration is a significant issue in storing wine on yachts. Wine stored over the long term should be kept completely still. Mature wines often have some sediment, and if the wine is constantly vibrating, the sediment will be thrown around the entire bottle instead of staying static at the bottom. This will make the wine all but impossible to decant, and there is likely to be sediment in every glass when serving. 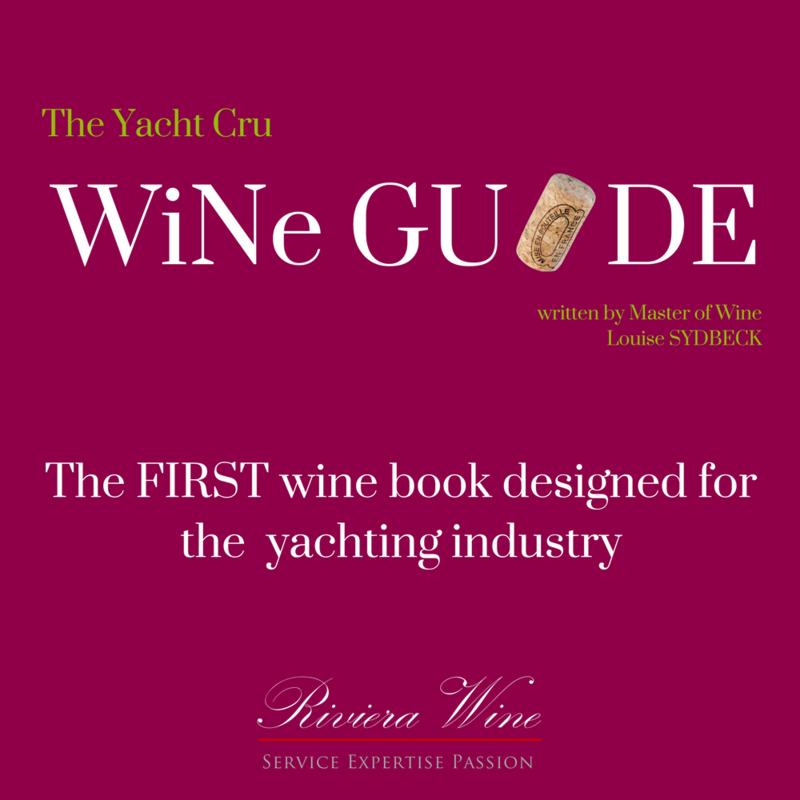 Of course, this is part of being on a yacht, the sea moves, but think carefully about where you are storing your wine – for example, as far away from the engine room as possible! For yachts, the best solution to ensure quality is to either invest in a wine fridge or to buy ready-to-drink vintages that don’t need to be laid down for long. In either case, it is best to try to plan in advance, anticipating what will be required for the season as much as possible.